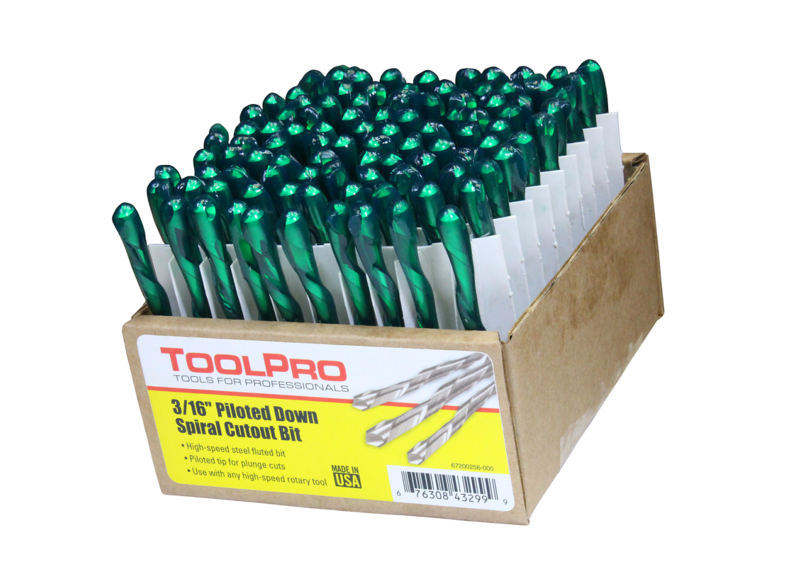 These heavy duty drywall cut-out bits have a 3/16 in. shaft that is sure to hold up longer than the standard 1/8 in. cut-out bit. They consistently make the best cut possible without running out on you. 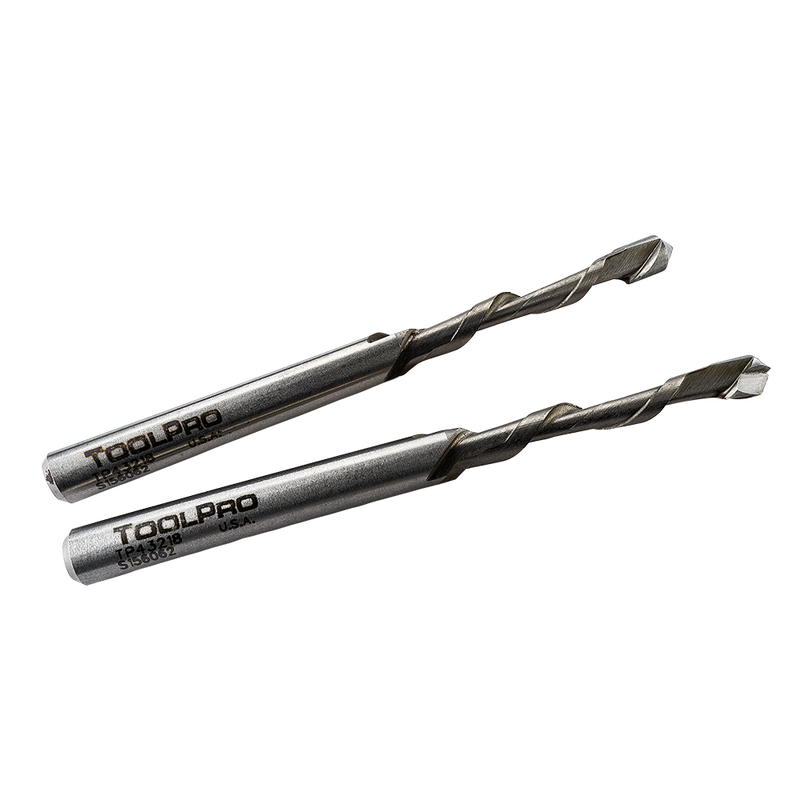 This is just one more of the ToolPro line of professional drywall tools for those who make their living with their hands. Individual bit, sold in bulk box of 100. Each bit tip protected with green wax. Piloted tip for plunge cuts into drywall. 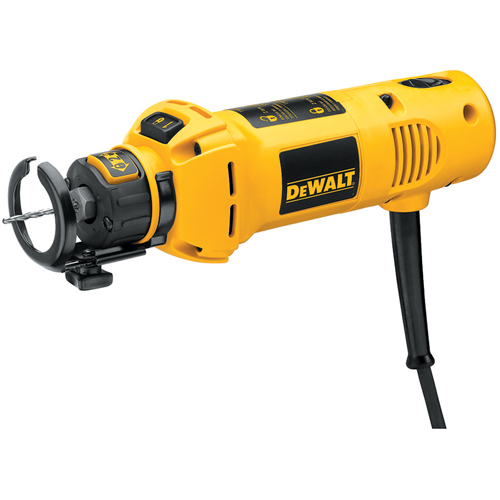 Downward spiral is designed to push dust into wall and away from you. 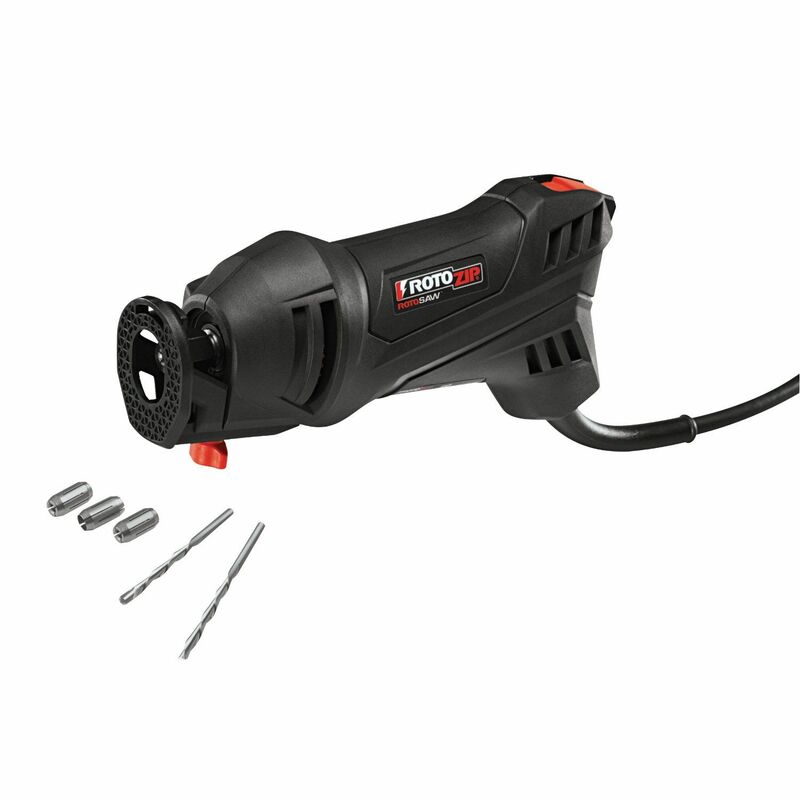 Use with any high-speed rotary tool to cut-out can lighting or outlet boxes.